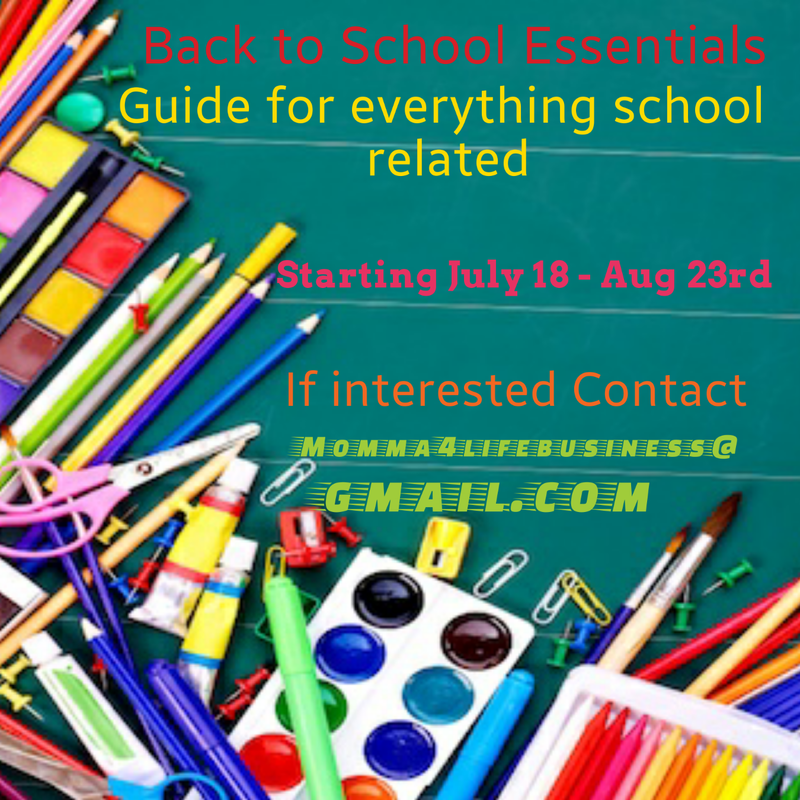 Momma4Life: Back to School Essential Guide "Taking Submissions"
Back to School Essential Guide "Taking Submissions"
I am starting my Back to School Essential Guide!!! Yes it's already that time again!! 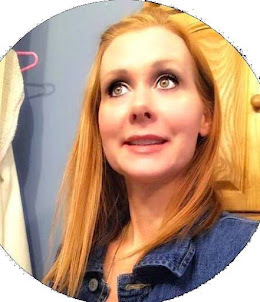 I am taking applications for any Companies that want to work together to get the word out on their product for the up and coming School Year!!! 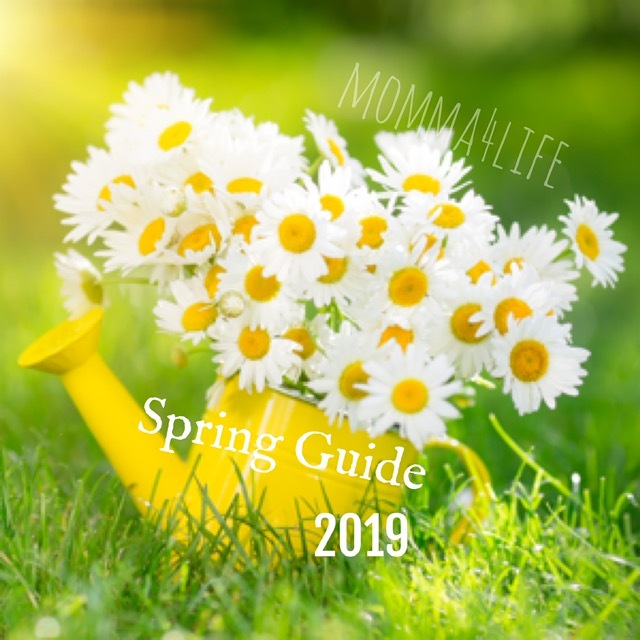 If you are interested in this or have questions about what I do please don't hesitate to contact me at this email Momma4lifebusiness@gmail.com. I really look forward to working with you!! 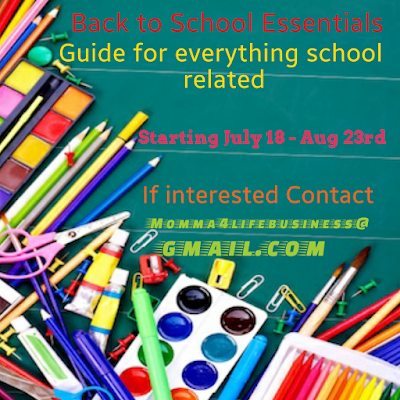 Pencils, Pens, notebooks, label stickers, label maker, file folders, markers, color pencils, paint, Book bags, Lunch boxes, and so much more. I'm sure you get the picture!! I will start taking submissions "Now"
Thanks for checking it out and let me know!! !